Maryland drivers could soon see the first gas tax hike in decades. The General Assembly opened its legislative session Wednesday and is looking at the increase as a way to pay for road improvements. “That's the major thing for Montgomery, Prince George's, Charles, even Frederick County,” Majority Leader Delegate Kumar Barve said. “We need to move people around the area so we can grow economically." Maryland needs hundreds of millions of dollars to improve highways and bridges and try to ease traffic congestion. Gov. 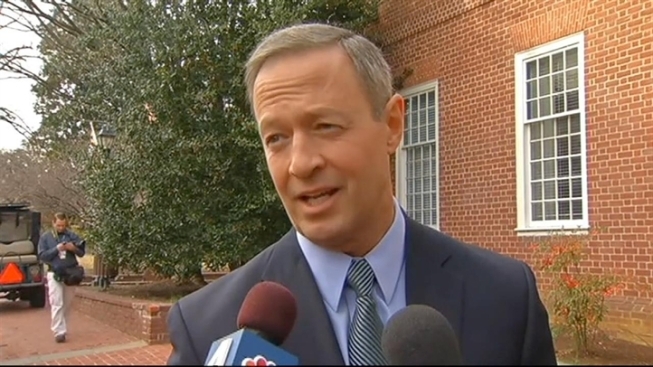 Martin O'Malley said the state has not raised the gas tax since 1992, but a gas tax hike would be extremely unpopular. “You could raise the same amount of money by increasing the sales tax broadly by a penny and dedicating that penny in law to the transportation trust fund,” he said. Republicans vow to fight any proposed tax increase.